Backpacks are back and prettier than ever. 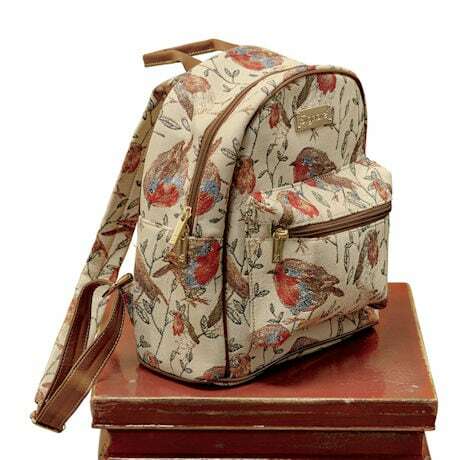 Woven tapestry bag features robins all around. Outside, a zip pouch; inside, one zip and two open pockets. 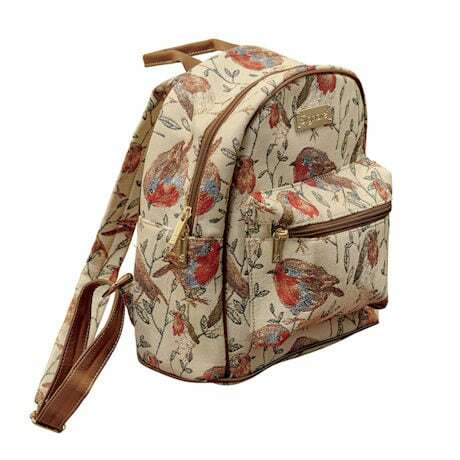 Full zip top, adjustable 1 ½" tapestry and faux leather backpack straps, faux leather carry handle. Polyester. 10"w x 12"h x 5"d. Clean with damp cloth. Imported.